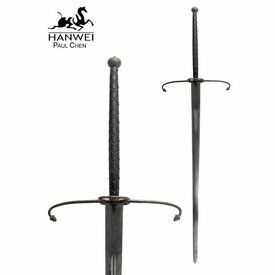 This luxurious two-handed sword is made after a late 16th century original that is part of the collection of the National Museum in Vienna. 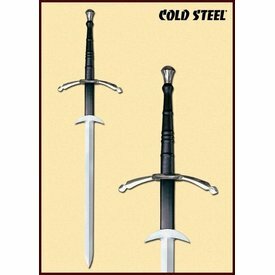 The sword has a luxuriously shaped iron cross-guard that protected the hand and also had a decorative function. 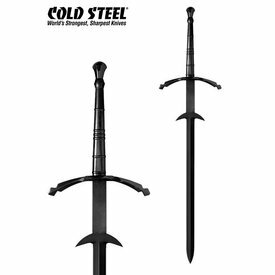 Its length is 168 cm with a blade of 118 cm and a maximum width of 5,2 and a cross-guard of 39 cm. It weighs approx. 5 kg.